If you stop by the cozy atelier of Margriet Meijer you’ll likely find her at her sewing machine, patiently working over a piece of leather while a cup of coffee cools at a desk beside her. Look across the street at the trees lining the perimeter of the massive Rembrandt Park, and you’ll forget that you’re even in Amsterdam at all. Margriet is an Urban Unusual: someone that we admire and is helping to shape and improve urban life by being a unique character. We collaborated with Margriet and monsak on a special collection of her leather bags that were in five different colors that you can order an unu Scooter in. 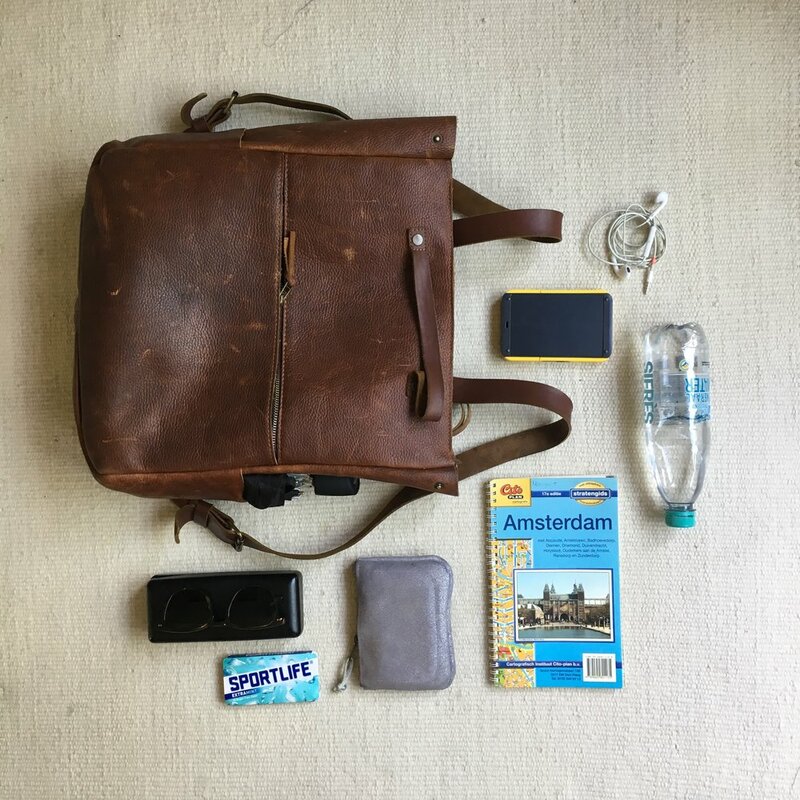 A peek inside of Margriet's own Sak 7, with all the necessary things for a day out in Amsterdam on her unu Scooter. And in the end, that’s where the concepts of monsak and unu meet: with a monsak bag packed with all the right things, and a fully charged unu Scooter, Margriet is able to conquer Amsterdam in a totally different way. Thank you Margriet, for speaking with us. You can learn more about monsak and buy your own by clicking here.